I love finding new recipe’s online and since I started blogging I have found recipes galore! So, with my love of linkies it was bound to happen that I would want my own (what can I say i’m selfish like that). I have created the linky for foodies and food lovers who just want to cook (or in my case eat!) and share the wonderful culinary concoctions you have all created! Other than all of the fabulous linkies I am a part of, the inspiration for #YumTum was Winnie the Pooh and his rumbling in his tummy (my son’s current favourite cartoon) and it was just a hop, skip and a jump to yummy in my tummy – ergo YumTum was born! 3 Strike rule – if you link and run 3 times you are out and won’t be able to participate anymore which would be a real shame! Let’s be respectful! Well what would a linky be without a badge! so here it is… Ta Da! if you don’t like it and would prefer to just link to the post that’s fine – if you do then copy and paste the code from the box into the text/html part of your blog/ or your sidebar (you can do this in the widgets section in wordpress) and voila. That would be fab! how helpful to have a hubby that cooks! I am so excited about this linky party! I write about food at least once a week and so this one is really relevant for my niche. 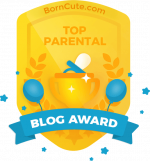 I personally think your badge is so cute and have already added it to my Link Party page. 🙂 Congrats on starting your own linky! I know that it will be fabulous because it already is! Sounds like fun! u can’t wait to link up with you! Well done Charlotte! Looking forward to visiting your party again next week. Charlotte, I love this and I love that you are growing so much as a blogger! Next week I should have my [email protected] together, lol and then I’ll be back to play along!!! Congrats! thanks lovely! your gluten free recipes are always amazing! Congratulations! I have thought about how awesome it would to host, or even co-cost a link party, and then I chicken out! Kudos to you for being way braver than I am! Good luck, I have added my link yesterday. We all are going to enjoy and get to know some new bloggers. I love new linkies! I’ve added a link to your new challenge from my best foodie post this week, but I can’t, for the life of me, find the linky to link up! Thank you 🙂 i would really appreciate it! haha i’m nervous!